The Byzantine Museum of Argolis is housed in the west wing of the Kapodistrias Barracks in Argos. The barracks compound, a listed historic building, is situated in a central location in the city, very close to the neoclassical building of the Municipal Market and the Archaeological Museum of Argos. The original building, dating back to the period of the second Venetian occupation of the city, had suffered extensive damages during the Greek Revolution. It was built anew during 1828-9 on the orders of Ioannis Kapodistrias and under the supervision of architect Lambros Zavos, in order to house the cavalry of the newly established Greek state. At first, the compound was quadrangular and its north wing, which has not survived to this day, was elevated. In its current form, it consists of the remaining three sides of the original quadrangle, which form its three wings (east, south and west). 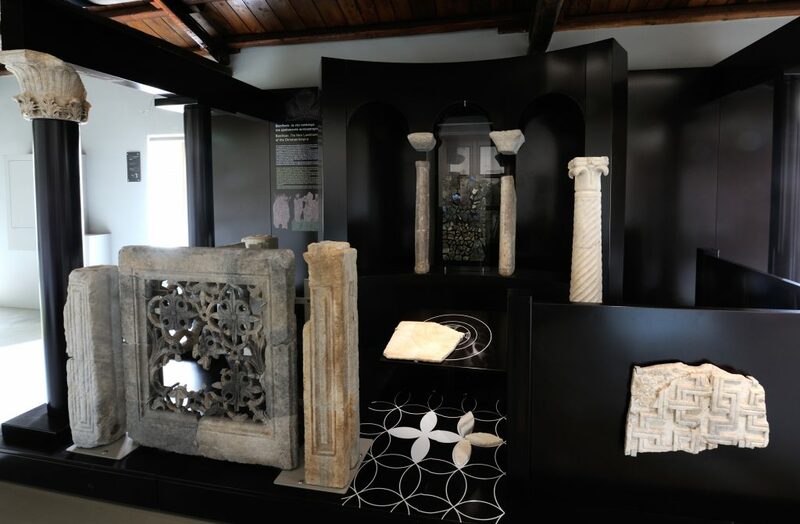 The establishment of a Museum of Byzantine and Post-Byzantine Art covering the entire west wing of the barracks was approved in 1992 and the works of remodelling the west wing into a museum space began in 2005. The project of setting up the permanent exhibition was incorporated into the NSRF in August 2011 and was completed in September 2016. The ground floor of the west wing houses the entrance to the Museum, the necessary premises for its operation (staff office, conservation workshop), as well as the Museum’s shop. The first floor is entirely dedicated to the Permanent Exhibition. The building features all necessary infrastructures to facilitate access by people with disabilities (ramps, elevator, information labels and museum guide in Braille). In addition, the western half of the south wing of the Barracks houses an archaeological storage room and the Museum’s Temporary Exhibition Hall.